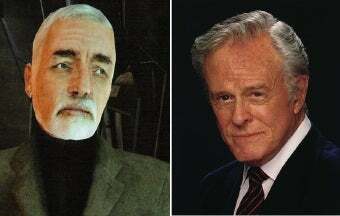 Robert Culp, known to some as the voice of Dr. Wallace Breen of Half-Life 2, to others as FBI Agent Bill Maxwell on "The Greatest American Hero," died today in Los Angeles. He was 79. Significant though it was to gamers, Culp's role as the director of the doomed Black Mesa Research Facility was far outshone by other portrayals in his nearly 50-year television career, beginning alongside Bill Cosby in the barrier-breaking "I Spy." But in Half Life 2, his monologues broadcast to City 17 helped sow the backstory of an overwhelmingly acclaimed video game, and give serious depth to an antagonist that most games would have treated one-dimensionally. Culp's character was the administrator of the facility responsible for the "Black Mesa Incident" that begins the series' continuity. Culp played a character who negotiated a peace agreement with the invading Combine that saved humanity, but only by enslaving it. Breen then became a puppet governor who, while a formidable and ruthless opponent of the game's protagonist, Gordon Freeman, still believed that the choice he had made was best for mankind. Culp died after falling on a sidewalk by park in Los Angeles. He is survived by his wife, five children and five grandchildren.